Barrel caliber – 7.62 mm, design barrel length – 0.66 m, total machine gun length – 1.35 m, belt capacity – 100 (250) rifle cartridges, machine gun weight – 12.9 kg, maximum rate of fire – 600 shots/min, maximum muzzle velocity – 880 m/s, maximum shooting range – 2 km, machine gun ammos – rifle cartridge, type 7.62х54R. To simplify the MT light machine gun manufacturing process the main developers copied the automatic loading system from the basic version of legendary Maxim machine gun. The absolutely new weapon model offered a movable barrel with the shortest recoil possible. The barrel locking system was triggered by two dedicated levers. The cartridge belt was fed from the right side of the original receiver. When firing, the automatic system gripped a cartridge, and accompanied it to the line that sent it to a special chamber. The empty case was released from a window, in the lower part of the original receiver. 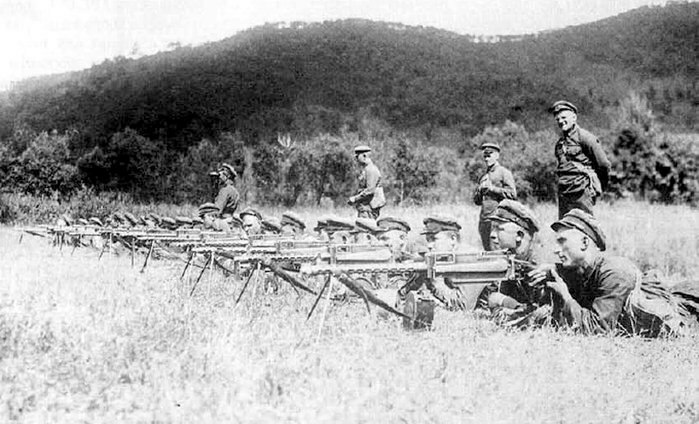 A most crucial challenge for the country leaders in the 1920s was about correct selection of the direction in which to develop the automatic weapons for use by the infantry. Manufacturing various light machine guns with perfect performance parameters was increasingly popular at the time. 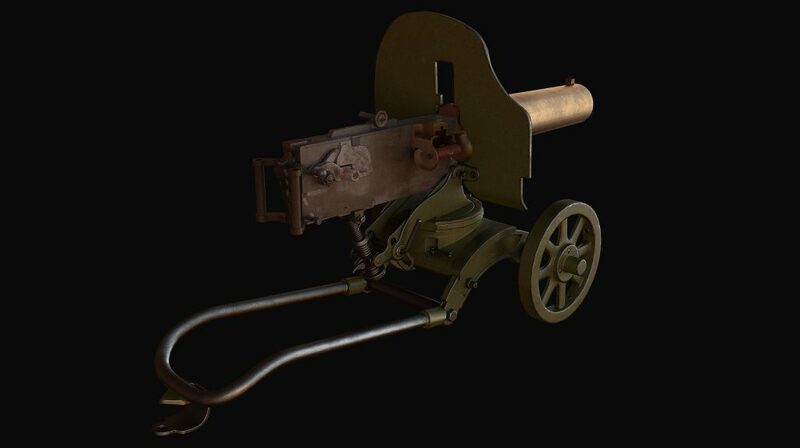 A new task was set in 1924: to develop a new light machine gun for the national army. A decision was made to use the existing models to solve the issue as soon as possible. Hiram Maxim’s original machine gun that gained spotless reputation over the long period of service proved to be the optimal version for manufacturing of a new light machine gun. 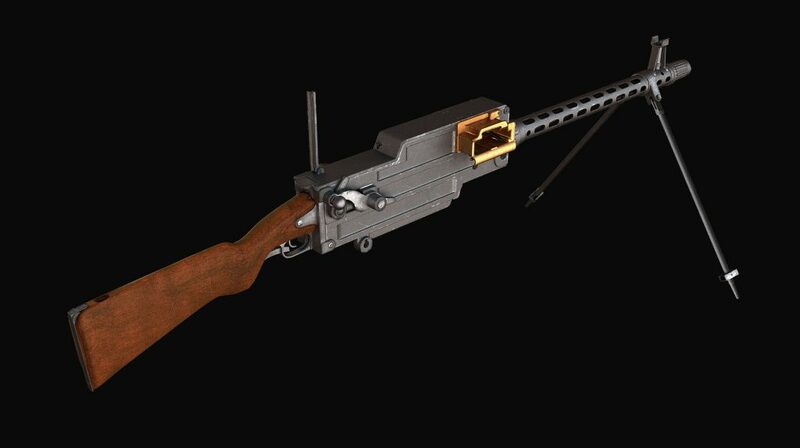 Development of a new light machine gun model based on the existing specimen was simultaneously underway in two directions. The first development version was prepared by the Vystrel (Shot) arms school headed by Ivan N. Kolesnikov. The second version was developed by Fedor V. Tokarev at the Tula Arms Factory. The major condition for manufacturing the new model of a modern light machine gun was to reduce the weapon weight and dimensions as much as possible. During development and design in various production facilities the new MT and MK machine gun prototypes resembled one another to the maximum extent since they had the same basis for concept evolution. After certain modifications the Maxim-Tokarev light machine gun weighed only 12.9 kg, which is 7 kg less than the original model. The improved automatics enabled the weapon to display outstanding performance parameters. Первые образцы усовершенствованных пулеметов были поставлены на вооружение в середине 1925 года. Такое усовершенствование существенно укрепило боевую мощь рядов отечественной армии. При длительном использовании обнаружились основные недостатки данного пулемета. 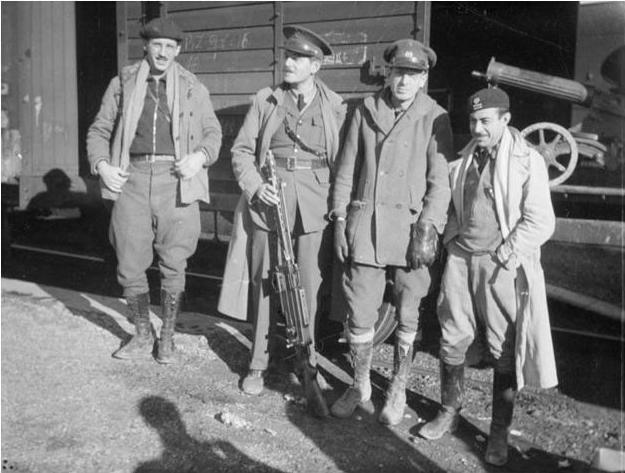 The first specimens of the upgraded light machine guns were accepted into service in mid-1925. Such an upgrade essentially boosted the combat capabilities of the Soviet Army. The main drawbacks were identified in the long use. Reduced weight of the Maxim-Tokarev light machine gun facilitated its use and helped avoid discomfort when regularly maintaining the model. The drawbacks were associated with functioning of the automatic components, the ammo feeding system and some delays in long periods of shooting. Such negative factors needed to be eliminated as soon as possible, and the work was carried out throughout 1926. By fixing all problems and drawbacks in the MT light machine gun functioning, the industry mastered mass production of this weapon. Deliveries to the national army continued until the end of 1926. Following long-term modifications a final decision was made to discard this weapon. 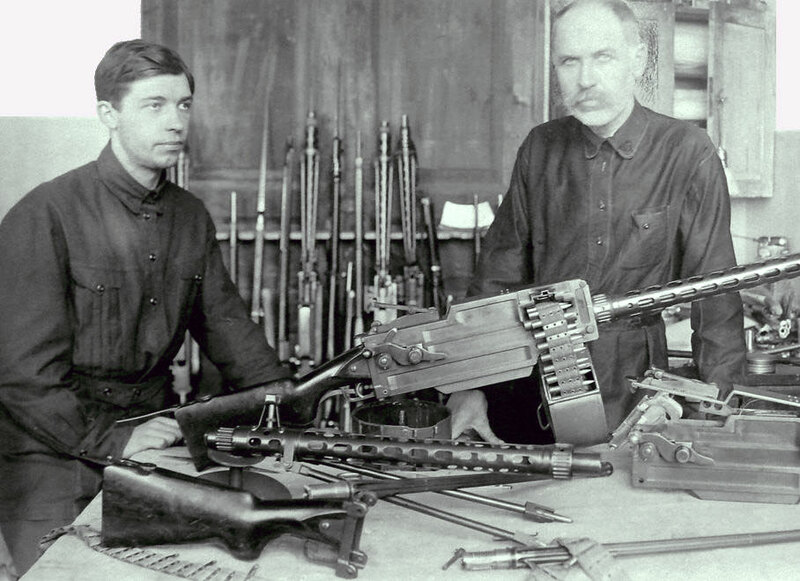 Creation of a DP-27 new machine gun by Vasily Degtyaryov became a most influential reason for discarding the MT light machine gun. This new model completely ousted all original MT light machine guns as it had better parameters and needed no modifications. MT light machine gun was manufactured until autumn 1926. Over the period of manufacturing the original light machine gun, the national army received more than 2,500 pieces of that weapon. All unused MT machine guns were sent to warehouse storage. In 1938, original light machine guns were for the first time used in combat during the Civil War in Spain. Some of the machine guns were dispatched to China in 1940. The total number of weapons is unknown. Specimens of MT light machine guns are still displayed in Chinese museums. 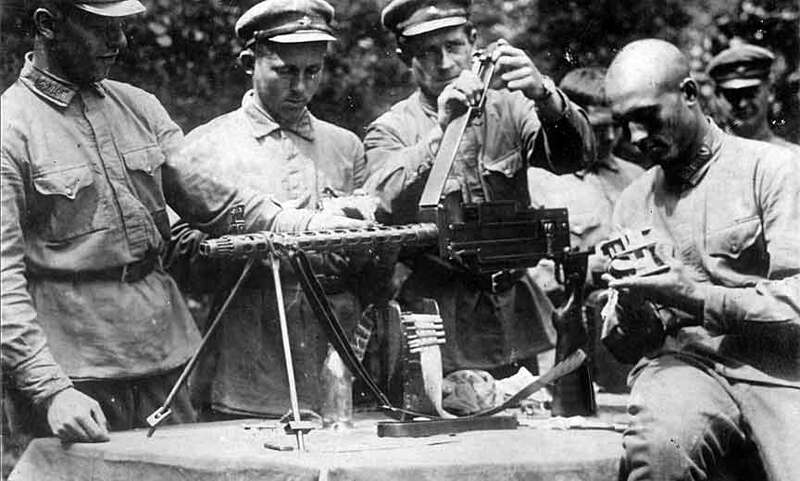 Despite the a great many of failures and drawbacks, the Maxim-Tokarev light machine gun is the first domestically-made and mass-produced machine gun of the type.